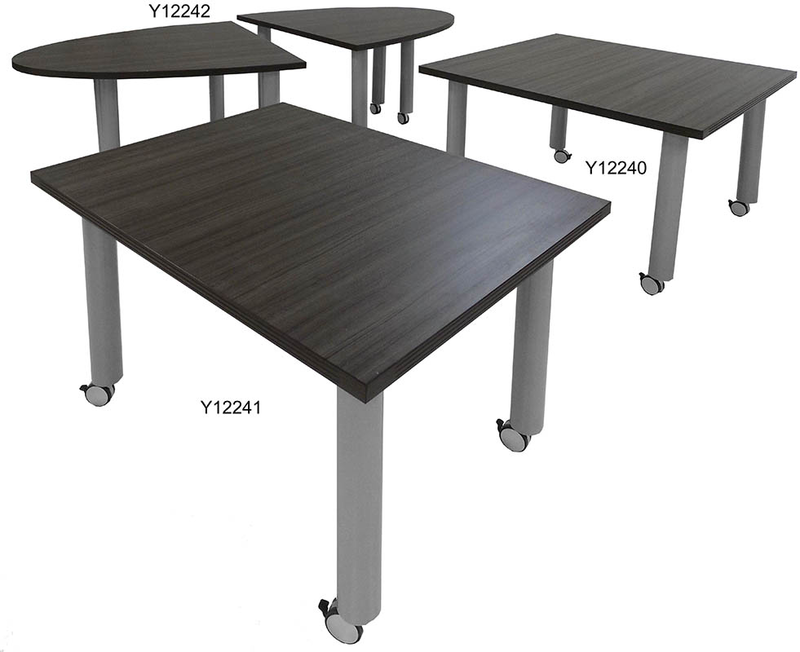 Our Mobile Modular Conference Tables offer the flexibility to use as one attractive large table, or, simply roll apart for separate breakout meetings and training sessions. 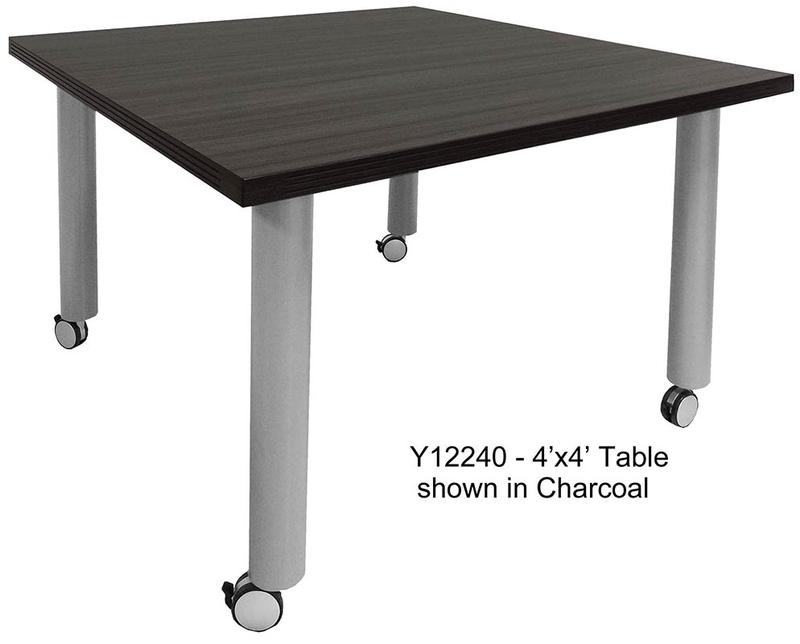 Extremely sturdy and solid with welded steel post legs and heavy table tops. Durable laminate surfaces wipe clean with a mild detergent and damp cloth. In stock in five modern laminate colors! 4' x 4' mobile table sold above. See other tables sold below. Measures 47-1/4"W x 47-1/4"D x 29-1/2"H. Shipping weight 92 lbs. Ships with legs detached. PRICE INCLUDES SHIPPING! (Truck shipment � see Terms & Conditions). IN STOCK! *	Combine in various sizes and shapes to suit your needs! 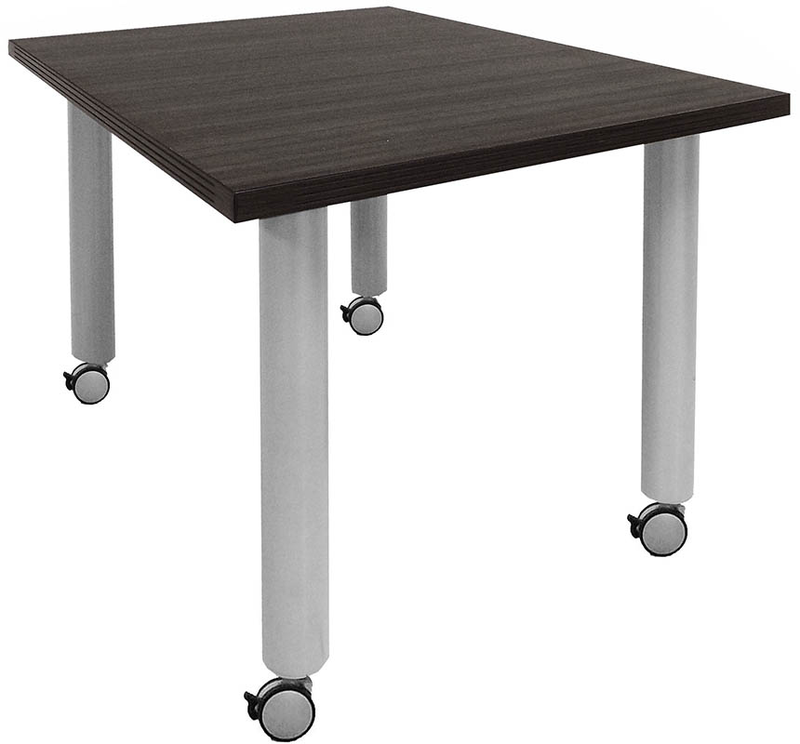 *	Tables roll smoothly on oversized 3" diameter locking casters. 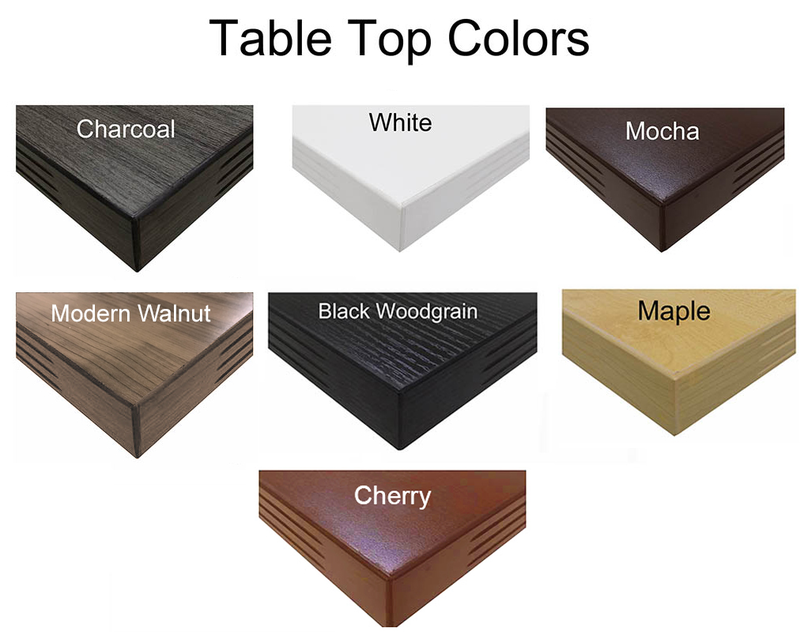 *	1-1/2" thick table tops with durable laminate surfaces. *	Table edges have tough 3mm fluted PVC edge banding to resist scratches and scrapes. *	3-3/8" diameter welded top silver cylinder legs screw to metal inserts for solid and stable leg. *	Choose from several in stock laminates and a wide selection of matching conference pieces. 1 - 3 $549.00 ea. 4 - 9 $499.00 ea. 3' x 4' Mobile Table measures 47-1/4"W x 35-1/2"D x 29-1/2"H. Shipping weight 81 lbs. Ships with legs detached. PRICE INCLUDES SHIPPING! (Truck shipment � see Terms & Conditions). IN STOCK! 1 - 3 $999.00 ea. 4 - 9 $949.00 ea. Combine the two half oval tables to make one oval table, or use independently! Each section measures 47-1/4"W x 47-1/2"D x 29-1/2"H. Two combined halves measure 47-1/4" wide x 95" long overall. Includes total of 8 mobile legs (4 legs per oval table top). Shipping weight 162 lbs. Ships with legs detached. PRICE INCLUDES SHIPPING! (Truck shipment � see Terms & Conditions). IN STOCK!